Each time I use up a product or need something new, I try to look for a more eco-friendly version. Using this method, I've been able to transition away from wasteful products and fill my home with more thoughtful, sustainable options. While it's easy to remember this when buying products consumed quickly (such as soap and cosmetics), it is equally important to remember this when making purchases that will last a long time (such as hair tools). Widu makes a nice line of brushes and combs made with FSC certified woods, natural rubber, and bamboo that are excellent alternatives to plastic and metal brushes. Widu brushes are made with sustainability and longevity in mind. I love how the brushes are packaged with spare bristles that can easily be replaced. The wood is FSC certified and the paper inserts in the packaging are made from recycled paper. If you've ever suffered at the hands of a brush with plastic brushes (especially if the tips fall off and the ends become sharp), then these brushes will be a real treat. 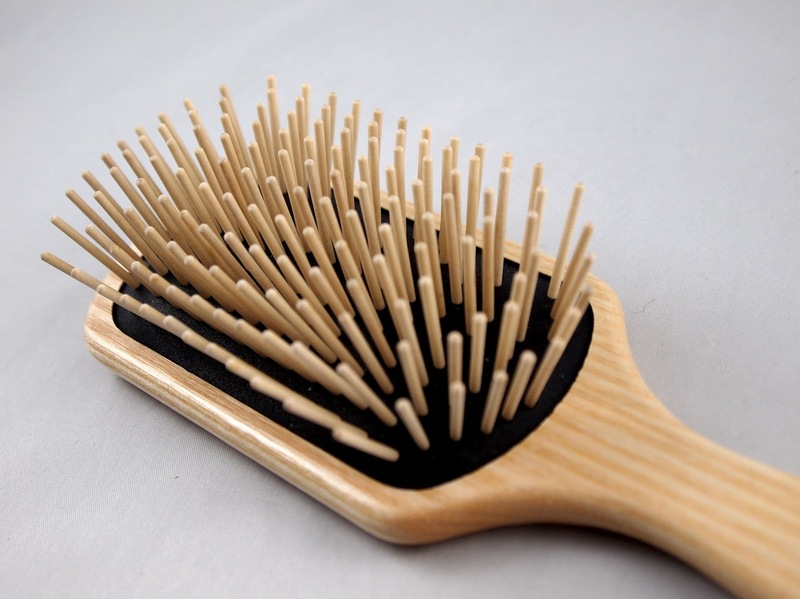 The rounded wooden tips gently massage the scalp and improve circulation. My favorite style is the Extra Large Paddle Brush, which I prefer for blow-drying my long hair. It helps me straighten as I dry and has a nice, deep bed of bristles that works well for thick hair like mine. Before blow drying, I use a wide-tooth comb (which Widu also makes). Every stylist I've seen recommends using wide-tooth combs on wet hair. Together, these make a great pair. If you're in the market for a new brush or comb, looking for a gift for a hair enthusiast, or want a special present for your man, Widu offers many great options. While the price is higher than conventional brushes, these brushes and combs are built to last and are much better for the environment. The only item to note is that they may be finished with a small amount of beeswax, which may not be suitable for strict vegans. Otherwise, these brushes and combs are a great eco-friendly choice. Also available on Amazon.com: Extra Large Paddle Brush, Large Oval Brush, and Comb with Handle. I have one large oval brush (a $40 value) available to give away to one lucky reader! One winner will be chosen at random from all eligible entries. Just leave a comment through the Rafflecopter widget below stating your favorite brush shape or style. Additional entries are available for posting this giveaway Twitter (this can be done daily for up to one additional entry each day, also using the widget so you get credit). Contest ends 6/29/12 at 12:01 AM EST. Best of luck! Disclosure notice: These products were sent to me free of charge by the manufacturer for review. No additional compensation was accepted and the opinions are my own. Please verify any claims with the manufacturer, especially if you have any allergies or concerns. I like the basic comb but would love to try out this brush! 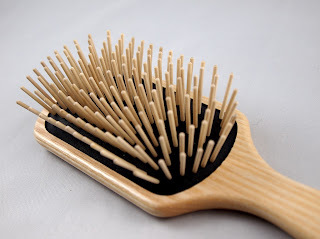 I think my favorite brush shape would be the paddle brush- it just makes it easier to brush my thick hair! I love the paddle brush shape best but I'm not particular. Would love to try this! Thanks! I like a round brush.